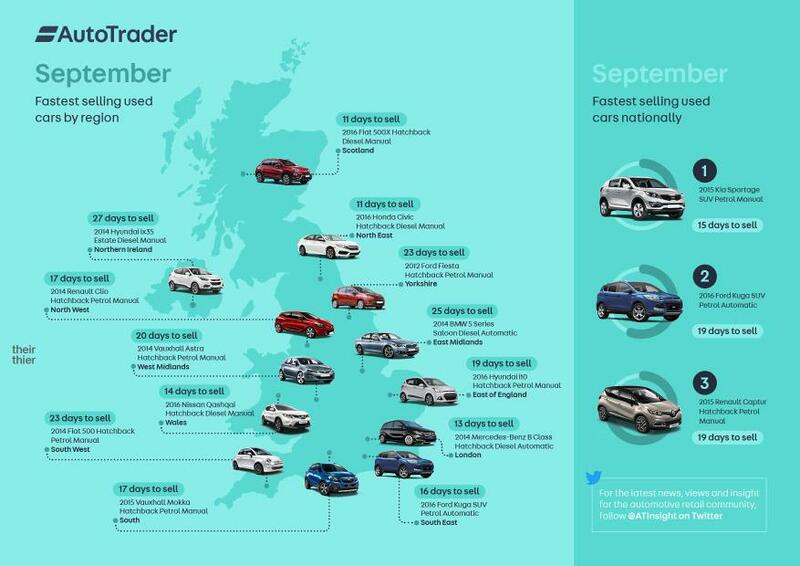 Data from Auto Trader, the UK’s largest marketplace for used and new cars, revealed that the 2015 Kia Sportage (petrol manual) was the fastest selling used car in September, taking an average of just 15 days to turn. It marks the second consecutive month the Korean SUV has taken the national top spot, after taking the least amount of days to sell in August (17), as well as taking the title for 2016’s overall fastest selling used car. Last month the Sportage was followed closely into second and third place by the 2016 Ford Kuga (petrol automatic), and the 2015 Renault Captur (petrol manual), taking a respective 19 days to leave the UK’s forecourts. From a regional perspective, it was the nippy hatchback that dominated, taking the number one spot in 10 of the 13 regions/countries tracked; East England (2016 Hyundai i10, petrol manual); London (2014 Mercedes-Benz B Class, diesel automatic); North East (2016 Honda Civic, diesel manual); North West (2014 Renault Clio, petrol manual); Scotland (2016 Fiat 500X, diesel manual); South (2015 Vauxhall Mokka, petrol manual); Wales (2016 Nissan Qashqai, diesel manual), West Midlands (2014 Vauxhall Astra, petrol manual), and Yorkshire (2012 Ford Fiesta, petrol manual). Hitting targets will always be determined by how quickly a dealer can turn their stock around and using data is the key to speeding it up. Users of i-Control, Auto Trader‘s data management solution, took an average of just 27 days to sell a car in September, compared to a market average of 66 - 59% faster than those that don’t use the data management tool. Karolina Edwards-Smajda, Auto Trader Retailer & Consumer Products Director, said: “It’s great to see the Sportage take the number one spot once again this year, underlining just how popular its seven-year warranty is amongst consumers. Even a 2015 model still has five years remaining, offering a level of consumer confidence that many manufacturers would struggle to compete with. 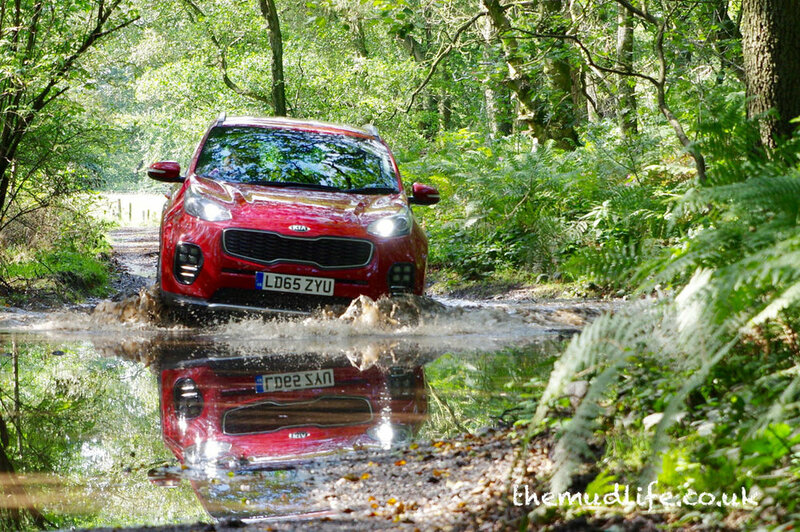 I've been fortunate to drive quite a few Sportage's and I can understand entirely why it's number 1, and as you can read here I genuinely found it a great car In fact, when Muddy Madam senior wanted a new 2nd hand car, guess what she bought?